St. Lawrence is a beloved saint in our house, 1 - because his name is our last name (See our youngest son's All Saints' Day Costume), 2 - we love his since of heroic humor 3 - his beautiful devotion of Our Lord. 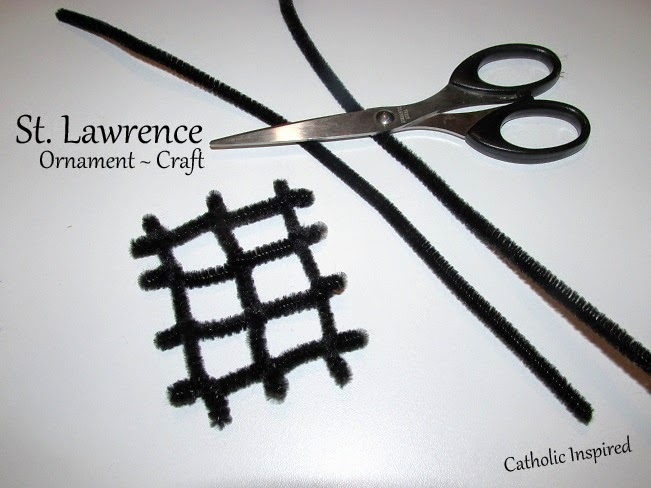 St. Lawrence was a young deacon who was martyred in the early days of the church. After being tortured, he was placed on a grill and cooked alive. When he could no longer feel most of his body, he said, "Turn me over I'm done on this side." He was turned, and then died. Before he died he offered his life for the conversion of Rome. His feast day is Aug 10. (new and traditional calendars) Read more about him HERE, HERE and HERE. 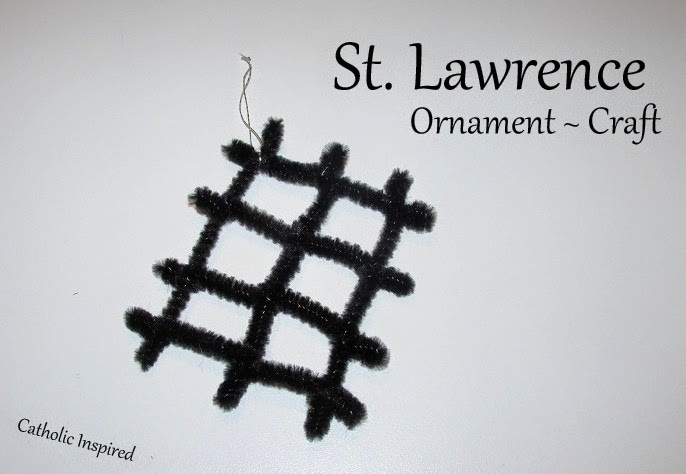 For St. Lawrence (AKA: St. Laurence) Elizabeth and I made a grill from pipe cleaners. 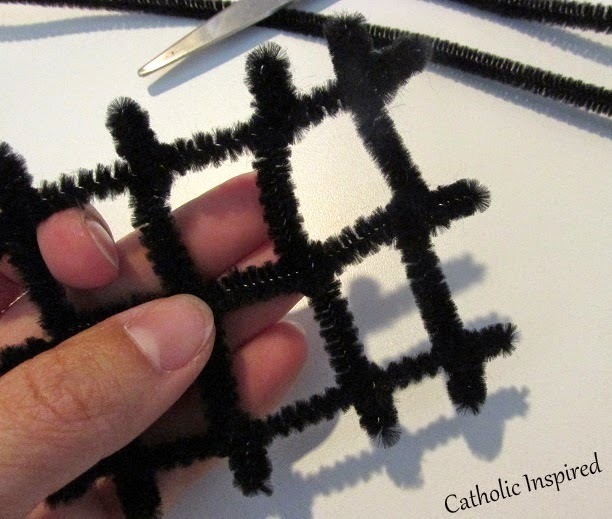 Elizabeth used two pipe cleaners and cut and twisted them together to make the grill. It was simple wrapping of the wire. Nothing fancy, although we did bend the ends back so they were less pointy. But, I don't think St. Lawrence's grill was so soft and fuzzy. St. Lawrence, pray for us. May we all have your heroic love for Jesus and our fellow man.